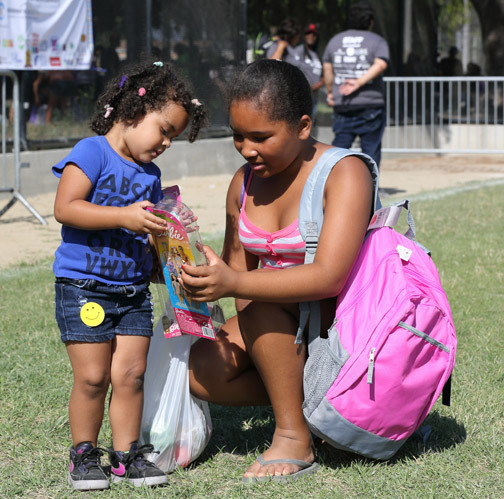 Philanthropic Society Los Angeles (PSLA), a support group of Children’s Institute, Inc. (CII), hosted the 2nd Annual Watts Back To School Giveaway to provide much-needed educational resources and support for children, pre-school age to 12th grade. Fall is the season when most families take the purchase of backpacks and other school supplies for granted, but not so for families living in one of Los Angeles’ most challenged communities. Thanks to major support from PSLA, Mattel and nearly 20 other sponsors, the event benefited approximately 5,000 children and their families who receive services from CII—a nationally recognized organization that helps children and youth severely affected by community and family violence. 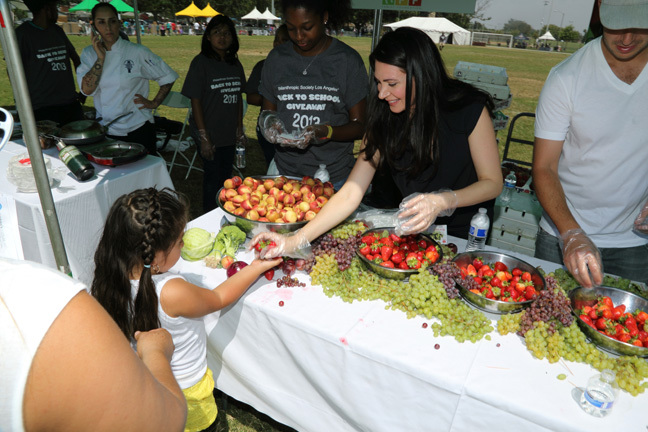 In addition to receiving filled backpacks, attendees learned about good nutrition and healthy cooking through demos and snacks from the Watts Healthy Farmers Market, and received useful community information from event partners. Major event sponsor Mattel was joined by the following supporters: Ted Watkins Park, Los Angeles Department of Parks and Recrea­tion, Parks After Dark, Watts Healthy Farmers’ Market/SEE-LA, Kaiser Permanente Watts Counsel­ing and Learning Center, K.I.D.S., Herbalife, LA Galaxy, Office Depot via Feed the Children, 99¢ Only Stores, Plum Organics, Baby2Baby, Activate, Cory Martin Events, Caruso Affiliated, Scholastic, Ac­cessory Innovations, Planet Sox, Handcraft, New Era, LA Party Rents and Centro Latino for Literacy.